It looks like the powerful beings on Mount Olympus are quite fond of you! This convenient product is just what you need to make check-writing a more enjoyable experience. The design features artistic images inspired by classic Greek literature. Illustrations of myths and legends will add character to your purse or pocketbook. 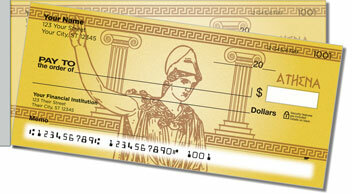 But these checks are also quite handy. 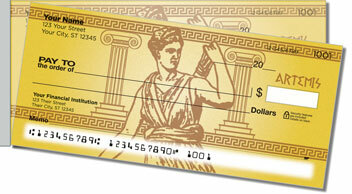 The shorter, side perforation makes it easy to pull checks from the pad. 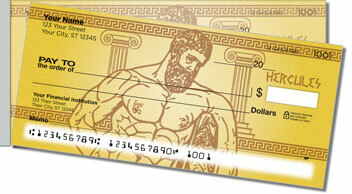 That means you don't have to be Hercules to remove checks without unwanted ripping and wrinkling. Zeus seems to be smiling down on you! He'll save his lightning bolts for next time. 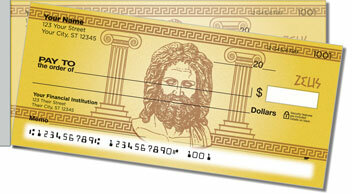 Get your own Greek God Side Tear Checks right now! 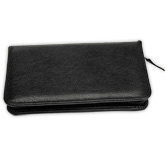 Order them with matching return address labels to make your purchase complete.